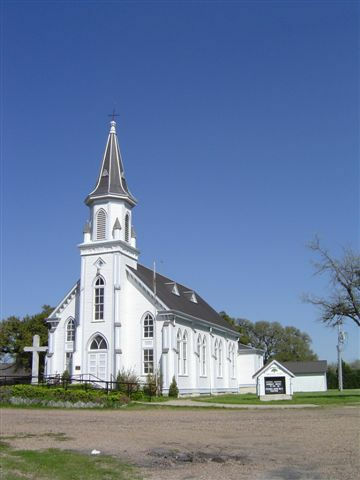 Dubina, Fayette County, Texas, a painted church, and Piano Bridge. The settlers planted cotton and harvested only one bale from their first crop. 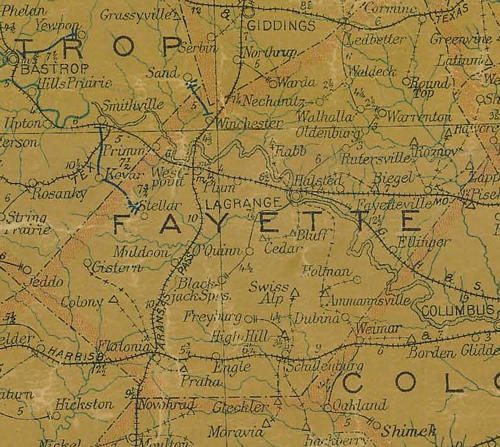 Just when they were adjusting to life in Fayette County along came the Civil War and many of the men were drafted. 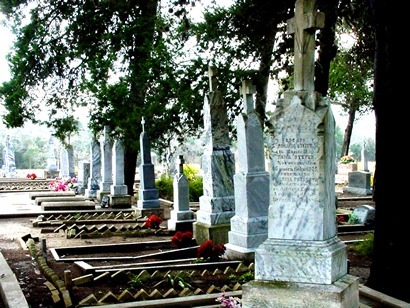 After the war, Dubina became a toehold for recently arrived Czech immigrants, much like the nearby town of Hackberry was for German settlers. The railroad ran straight from Weimar to Schulenburg in 1873 and Dubina was ignored. 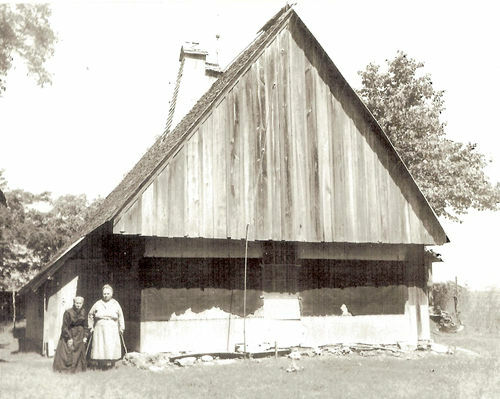 Population was drawn off, yet by 1900, the church still served 600 families who lived within the sound of the Saints Cyril and Methodius' Church bell. 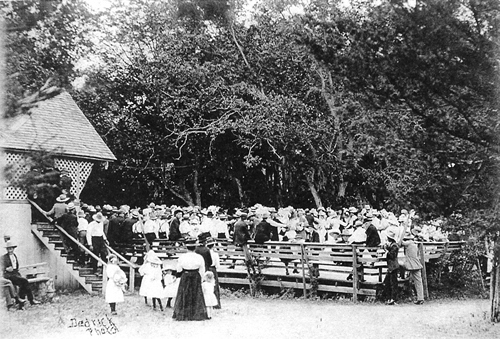 Dubina's first church was built in 1876, but was destroyed by a 1909 hurricane. Rebuilt in 1912, it survived a fire that all but destroyed the town. 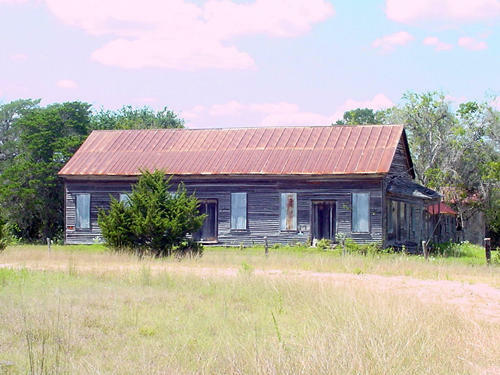 "Endangered Historic Properties of Texas"
Following the road ( County Road 480 ) past the church in Dubina, you will pass the Old Dubina Store and continuing west you will cross the "Piano Bridge"
Although 480 is a dirt road, it will connect with FM 615, which is paved and will take you to Highway 77.